Do You Need an Accounting or Business Valuation Expert in Your Divorce? The question of whether you will need any kind of expert in your divorce case is a difficult one to answer. Any issue resolved by agreement will eliminate the need to retain experts in that particular area. But where agreements cannot be reached, and where the issues in dispute require specific technical or specialized knowledge, experts will be needed. You may know that an expert may be needed to help in sensitive custody determinations if the parents can’t work those issues out amicably. However, many spouses don’t anticipate the need for financial experts, such as accountants and business valuation experts, and may not even be aware what kind of help these experts can provide. One of the most common times that financial experts are needed is where there is a business involved. It is not uncommon for someone to purposely “tank” an otherwise successful business, in order to manipulate income to seem lower than it is when a divorce is imminent. Likewise, it is not uncommon for people to pay personal expenses out of a business, in order to keep personal financial documents such as bank accounts or tax returns showing as little income as possible. Proving the health and viability of a business, and showing that a spouse is making more from a business than he or she claims, involves a complex analysis of a business’ bank records, accounting statements, accounts receivables, and other documents. Expert forensic accountants can also look at a business’ records, and tell whether money is being classified as business expenses when it is actually being taken for personal expenses, and whether money is being hidden. In some cases, a family business is marital property and must be divided. Instead of selling off the business’ assets and closing shop, one spouse may opt to keep the business and pay out to the other their half of the value of the business. How can you determine what half of the business is worth? This calls for the testimony of a business valuation expert, the same way that you might call a real estate agent or appraiser to value real property. A valuation expert has experience in valuing businesses. The business’ assets and liabilities would be appraised, as well as depreciation of materials, evaluation of the surrounding market, overhead, valuing any intellectual property owned by the business, and determining what other similar businesses are bought and sold for. There are times when an expert may not be needed. Take, for example, a small business that suddenly chooses not to fill orders, or where a spouse opts to start working 3 days a week instead of a full workweek. These are facts that a layperson can testify to, and that a court can understand without being given technical expert testimony. If the family business has been able to sustain the family consistently for years, and then suddenly there are claims that the business is failing or making insufficient income, it may be a sign that something is not quite right. 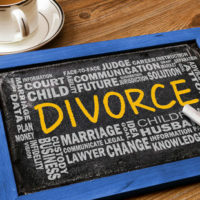 Our Tampa family law attorneys at the Pawlowski//Mastrilli Law Group can help you make sure that your marital assets are fairly divided if you are getting divorced. Contact us today for help.